I've added shipping rate codes to each item, to give you a ballpark idea of what shipping will cost. Final shipping will be determined by your destination. See rate codes at the bottom of this post. When inquiring about an item, be sure to include your zip code. Typewrite Hammer set $5.00. My project idea for this item, was to mount it to a board, and hang it on the wall as a shelf for a plate or a clock. Never could get excited about doing it though. This is an old ceiling lamp that needs work. I've tried to take lots of pictures for you to examine. It is not in the best shape, but if you are inclined to lamp repair, I'm sure you could make it beautiful again, or use it for parts. All metal, and original. 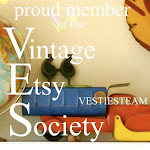 I've also made a Garage Sale page and a Flea Market Page on my web site for items from past sales that I still have. I love this item, It's some sort of tube repair kit. I've cleaned it up as much as it's gonna clean up. so come back tomorrow morning at 8:00 am (central) when the Garage sale will begin.